People often think eating healthy means depriving themselves of certain foods, but that typically just leads to cravings and a short-lived diet. Instead of making a long list of foods you have to avoid at all costs, focus on incorporating as many nourishing and healthy foods as you can. It’s a better diet plan for staying energized and satisfied. Here are some foods we often find ourselves hankering for—and healthier alternatives for each. Hopefully, these swaps will help make better eating easier! Most granola is coated in extra oils and sugars, resulting in high caloric value. A bigger amount of calories isn’t necessarily bad—but it’s better if those calories aren’t coming from hydrogenated oils and high fructose corn syrup. Unfortunately, that’s exactly what gives most store-bought granola their high calorie counts, so make sure to check the labels before you buy. KIND’s Healthy Grain Clusters come in a variety of flavors and are made with whole fruit, nuts, maple syrup, molasses, and brown rice syrup. Its overall ingredient list is short and sweet, sticking to natural ingredients and skipping the unwanted chemical additives. You can also try making your own granola, so you know exactly what you are putting into your body. Ever-addictive chips come with a lot of trans-fat—one of the fats that does more harm than good. They’ve been linked to obesity, heart disease, diabetes, and other illnesses, and they’re commonly found in hydrogenated vegetable oils that give products like potato chips a longer shelf life. Satisfy your salty craving with kale chips or air-popped popcorn. You can make both of these yourself or buy them in stores. One yummy substitute is Chia Pop Popcorn from Lesser Evil. We aren’t talking about freshly squeezed orange juice. We’re talking about fruit juices that are filled with added sugar. Even when labels say “100 percent pure,” many of these products are actually heavily processed. It’s also important to remember that drinking fruit juice is not the same as eating fruit, since juice lacks the fiber that whole fruit has. Did you know? Soy milk is a highly processed product. In fact, most of the soy in the U.S. is genetically modified. Research has indicated that there could be a link to hormonal issues due to the isoflavones, which are compounds similar to estrogen, in soy. It’s best to drink this in moderation. If you don’t like the taste of cow milk, or have allergic restrictions, try swapping in other options like almond or rice milk. 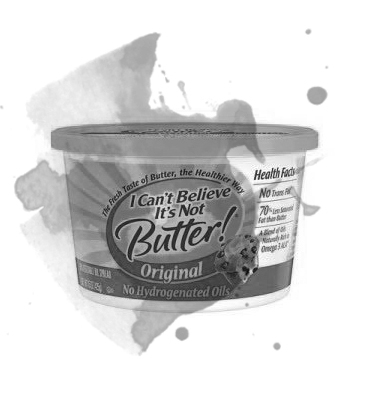 While these claim to be the healthy alternative to butter, imitation butters are filled with processed vegetable oils, artificial ingredients, and preservatives. Eat the real stuff! (In general, it’s always better to stick to foods with ingredients you are familiar with.) The best option here with the most nutritional benefit is raw, organic, and grass-fed butter, but that may not always be realistic because of price and availability. 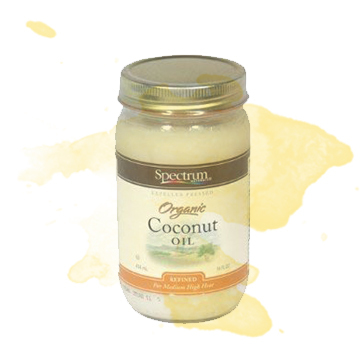 For those of you who are vegan, coconut oil is a tasty alternative and a great source of healthy fat. If you can’t get your hands on either, just remember that even a pasteurized butter is still better than the artificial version.